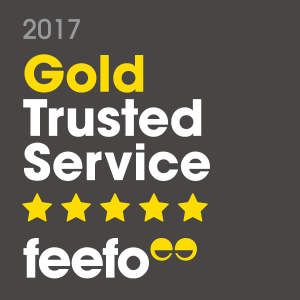 TJ Waste & Recycling has won a Feefo Gold Service award, an independent seal of excellence that recognises businesses for delivering exceptional experiences, rated by real customers. TJ Waste & Recycling met the criteria of collecting 632 reviews between January 1st 2016 and December 31st 2016, and achieved a Feefo service rating of between 4.5 and 5.0. “We would like to offer our congratulations to all the winners of this year’s Feefo Trusted Service award. We are so proud that so many businesses are putting customer service first.” said Andrew Mabbutt, CEO at Feefo. “We have been working closely with all our customers to build trust and transparency online, and ultimately helping shoppers buy with confidence and make better decisions.